Bryan Cranston Supports 'Better Call Saul' Cast During Comic-Con Premiere! Bryan Cranston stopped by the Better Call Saul premiere during 2018 Comic-Con! 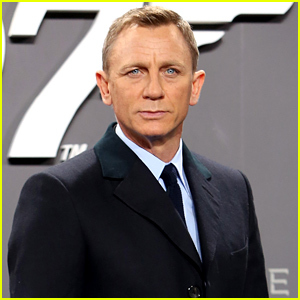 The 62-year-old Breaking Bad actor stepped out at the event on Thursday night (July 19) in San Diego, Calif. He was joined at the premiere by the Better Call Saul cast including Bob Odenkirk, Rhea Seehorn, Michael Mando and Patrick Fabian. Also in attendance was Breaking Bad‘s RJ Mitte and his sister Lacianne Carriere. Although there is said to be more Breaking Bad overlap in the new season of Better Call Saul, Bryan and Aaron Paul will not be featured. “You will not see Walt or Jesse on Season 4 of Better Call Saul,” creator Vince Gilligan said during a Comic-Con panel earlier that day. 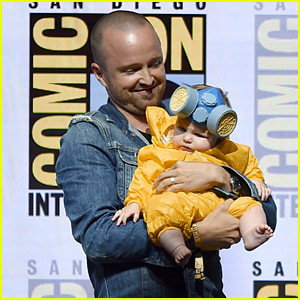 Aaron Paul holds his adorable daughter Story while bringing her on stage for the Breaking Bad 10th Anniversary Reunion panel during day one of 2018 Comic-Con on Thursday (July 19) in San Diego, Calif. The 38-year-old actor dressed his five-month-old daughter in a HazMat suit like the one Walter White and his character Jesse Pinkman often wore in the show. Aaron was joined by on the panel by co-stars Bryan Cranston, Anna Gunn, Betsy Brandt, Dean Norris, RJ Mitte, Giancarlo Esposito, Bob Odenkirk, Rhea Seehorn, Patrick Fabian, Michael Mondo, and series creator Vince Gilligan. During the panel, it was confirmed that Bryan and Aaron will not appear in season four of Better Call Saul. “We would be seriously remiss if these characters don’t appear on Saul before it is all over,” Gilligan clarified, so don’t give up hope! 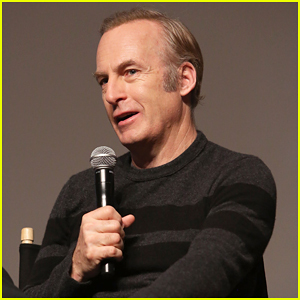 Bob Odenkirk has opened up about his time on Saturday Night Live in the ’90′s when he was 25. Pictured: Bob joining co-stars Patrick Fabian, Jonathan Banks, Rhea Seehorn, Micheal Mando, and writers Gordon Smith and Peter Gould at the FYC screening and panel discussion of Better Call Saul moderated by Andy Richter at the DGA Theater on Monday (May 8) in Los Angeles. 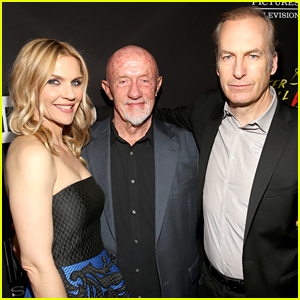 Co-stars Rhea Seehorn, Jonathan Banks, and Bob Odenkirk pose together as they arrive at the premiere party for season three of Better Call Saul on Tuesday night (March 28) at ArcLight Cinemas in Culver City, Calif. 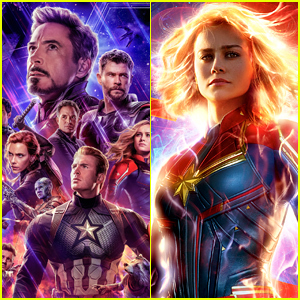 The co-stars were joined at the premiere by actors Patrick Fabian, Michael Mando, Sarah Minnich, and Brandon K. Hampton along with executive producers Vince Gilligan and Peter Gould. In case you missed it, Breaking Bad‘s Giancarlo Esposito will be making an appearance in the upcoming season! The third season of the hit Breaking Bad spin-off series will be premiering on April 10. Jared Padalecki & Olivia Munn Help Present At Saturn Awards 2016! Jared Padalecki is dapper as he hits the red carpet at the 2016 Saturn Awards held at The Castaway on Wednesday (June 22) in Burbank, Calif. The 33-year-old actor was joined by Olivia Munn, Better Call Saul‘s Patrick Fabian and Rhea Seehorn, Travis Van Winkle, Tricia Helfer, Yvette Nicole Brown, Echo Kellum and John Barrowman at the event celebrating the organization, which is the official awards group of The Academy of Science Fiction, Fantasy and Horror Films. 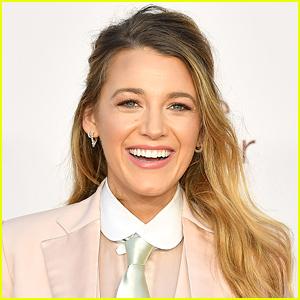 Olivia presented The George Pal Memorial Award to X-Men: Apocalypse screenwriter and producer Simon Kinberg, while The Spotlight Award went to Better Call Saul. FYI: Olivia is wearing a Vatanika dress, Giuseppe Zanotti shoes, Jimmy Choo clutch and Dana Rebecca jewelry.